Do you want to feel welcome? 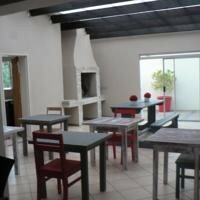 Then let Just B Guesthouse in the warm Kalahari town show you how. Just B Guesthouse makes it an ideal stopover at the BEST rate on your way to Namibia, Gauteng, Namaqualand or the Kgalagadi National Park. Our joy, our pride! This friendly, beautiful and clean guesthouse in a quiet neighborhood is suitable for a single person, two people, a small family, small or big groups. 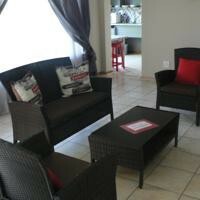 Self-catering accommodation is available all year-round. 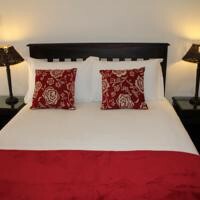 Just B Guesthouse offers warm hospitality, luxurious comfort and professional service at the best rate. 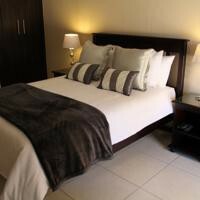 Stay in one of our four double or one single en-suite rooms. 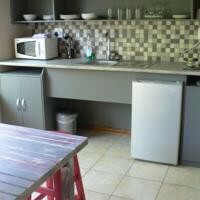 All rooms include air-conditioning, DStv, WiFi, microwave, stove, fridge, kettle, and cutlery. 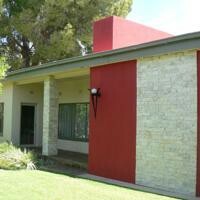 Each room has its own private entrance and safe onsite parking. 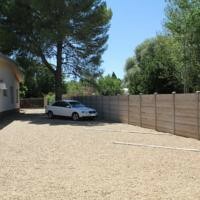 Secure parking with a remote gate is also available for your peace of mind. We are located within walking distance from Upington Medi-Clinic, Duineveld High School, the Kalahari Mall and about 3km from the CBD. We are so proud of our guesthouse that we are willing to pay back your full amount on arrival if you are not happy with Just B Guesthouse. 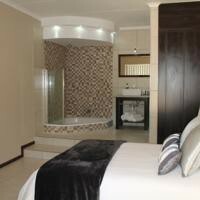 We welcome you to Just B Guest House, to be yourself and know that this will be an experience where it's all about you!